In order to keep pace with never ending demands of the customers, our company is instrumental in offering Boys Designer Shirt. 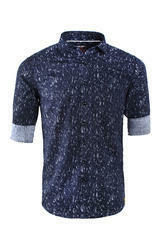 Owing to the wide experience of this domain, we are instrumental in offering Men's Designer Shirt to our clients. 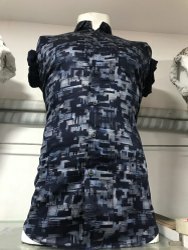 This Shirt is unique in design mix and match , Body fabric is made out of slub cotton ( look like linen fabric ) but having cotton comfort and mixed with soild popline sleeve matching to body fabric . Giving elegant look and slim fit . Matching up with the requirements of our clients, we are involved in offering Plain Designer Shirt.